Whether you have come here seeking help for yourself or others, because you are in despair and want to experience something different in your life, or because you want to come to know yourself better - welcome. 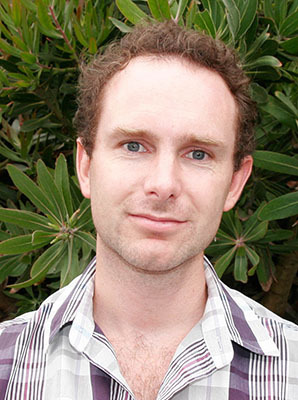 I'm James Driver, a registered psychotherapist who has completed clinical training in Auckland and London. My clients come from diverse backgrounds and with a wide range of issues. I have worked with violent offenders overcoming drug and alcohol problems, university students struggling with exam pressures and relationship problems, retirees confronting issues of meaning and existence, and people recovering from historic sexual and emotional abuse. I have a strong personal belief in the resilience of the human spirit and its capacity for self-healing, and will travel alongside you to enable you to more fully experience your life, to overcome despair and to experience connection, vitality, and a sense of belonging in the world we inhabit. My Master's research focused on online gaming addiction, a topic I am particularly interested in and which you can read more about here. I offer a range of therapy services from one-off sessions to short or long-term work, including Intensive Short Term Dynamic Psychotherapy.